If these walls could talk, they would tell you how we're home from the hospital and soaking up life as a family of four. They would tell you how we're experiencing a raging inferno of hormones, but somehow still holding it together... mostly. They would tell you how I managed to smear my daughter's poo on our bedroom wall at 6am on Sunday morning, the kind of thing that can only happen when you are not a morning person. But most importantly, they would tell you how much we're all in love with the new little girl who has all three of us wrapped around her little finger. I've been reading your blog for a while now and following your pregnancy... I just love pregnancy! Congratulations on your beautiful little girl and your new family of four. Enjoy... I know the first weeks are hard, having been a new mom myself this April, so hang in there. Congrats, again. She's gorgeous! Wonderful wonderful wonderful! 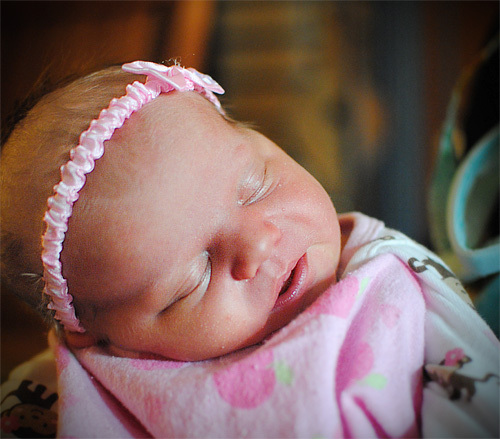 Congratulations on your sweet baby girl! Congratulations! I'm new to "2" as well. 14 wks and 23 months. So far the ride has been awesome, humbling, bumpy, exhausting, and full of joy. It's a blessing and huge adjustment. Take care and squeeze that cute new baby girl as much as you can!